Having cancer is hard. Getting a ride to treatment shouldn’t be. For many cancer pa ents, getting to and from treatment is the greatest barrier in beating the disease. In a national study conducted by the American Cancer Society (the Society) and hospital social workers, transportation is consistently named alongside Financial assistance as first or second in importance of non-medical needs. Seventy-three percent of social workers indicated that if the American Cancer Society or other organizations did not provide transportation services that there would be a reduction in pa ent treatment compliance, and 42 percent indicated that pa ents would be unable to complete their treatment regimen. 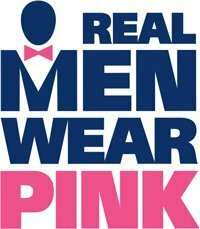 In the month of October, MATTRESS360 is proud to partner with the American Cancer Society for their Real Men Wear Pink Initiative. Through this unique campaign, men across the country have taken the pledge to help save more lives from breast cancer. For every purchase made at MATTRESS360, customers will be given the option to round up their total and whatever amount they choose, MATTRESS360 will match! Every donation made will support MATTRESS360 Co-Founder/Sleep Expert, Chris Bohling, in his $2,500 Real Mean Wear Pink fundraising campaign! PHOENIX (July 31, 2015) – In June Arizona’s severely abused and neglected children seeking emergency shelter had nowhere to sleep but a hard cot in an office building. In response to this crisis, Childhelp and the Arizona Department of Child Safety (DCS) created a temporary haven for children facing sudden removal from their homes. Locally owned business, MATTRESS360 also responded by donating 25 mattress sets worth $10,000. Despite MATTRESS360 being open for only two months, Bohling was still able to offer some support. The children brought into the haven will no longer sleep in DCS offices. Instead, they have a soft bed and welcoming environment at the new Children’s Placement Coordination and Assessment Center (Children’s Placement Center). The Children’s Placement Center was formed in only two weeks by Childhelp Co-Founders Sara O’Meara and Yvonne Fedderson, along with many volunteers, who all worked tirelessly to ensure each room is ready for the children who are removed from their homes. Childhelp hopes this center becomes the national standard of care for abused or neglected children that are removed from their homes in emergency situations. Every day in Arizona an average of 15 children are removed from their homes because of severe cases of abuse or neglect. The Children’s Placement Center accommodates up to 30 children, age 10 and under, for a period not to exceed 24 hours. DCS has created placement units to staff this center 24/7 and to find appropriate foster settings. Approved volunteers will be on site to provide care and comfort to these children. A report of child abuse is made every 10 seconds and nearly 3.3 million reports of child abuse are made annually. In the U.S., five children die each day from abuse and neglect and that is five too many. Childhelp’s programs work to solve these issues daily.